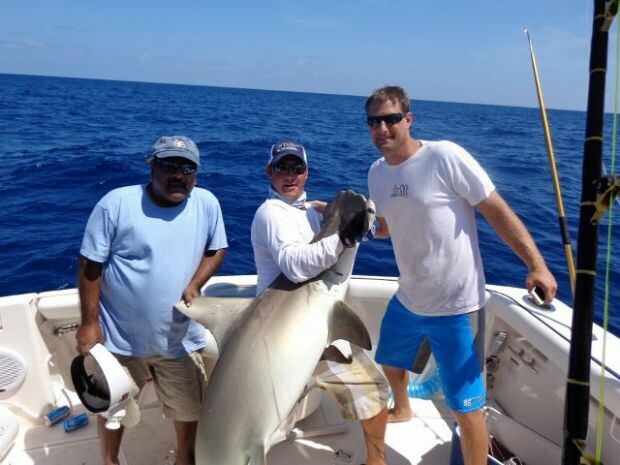 Ultimate Fishing Charters Miami provides clients access to the highest quality fishing charters worldwide. Whether you’re looking for offshore fishing, inshore fishing, deep sea fishing, or even flats fishing, we’ve got you covered. 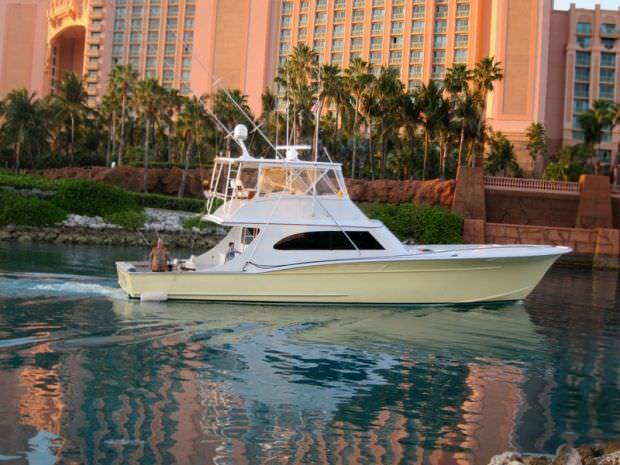 Our rental charters will take you to the finest fishing that this coast has to offer. Catch your limit of Seabass, Blackfin Tuna or delicious Red Snapper. Experience the once-in-a-lifetime thrill of hooking and fighting with a mighty Swordfish or giant Grouper. We bring you adventure & sport like you’ve never enjoyed it before. Based in Miami, Florida, we’ve grown from specializing in South Florida day excursions to organizing inclusive exotic packages for elite clientele all around the world. 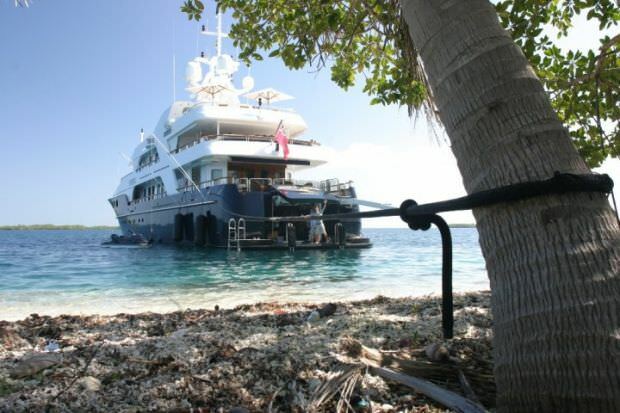 Please contact us about charters or rentals in places as far flung as Alaska and Nassau. The captains who pilot our charter boats know all the best spots and hidden gems around the islands. They’re the sort of experts who can tell you just the right bait and tackle to use for each kind of fish you want to catch. The combination of our expert crew combined with the knowledge of the local guides creates the ultimate team. We have the luxury options for those who demand the very best. 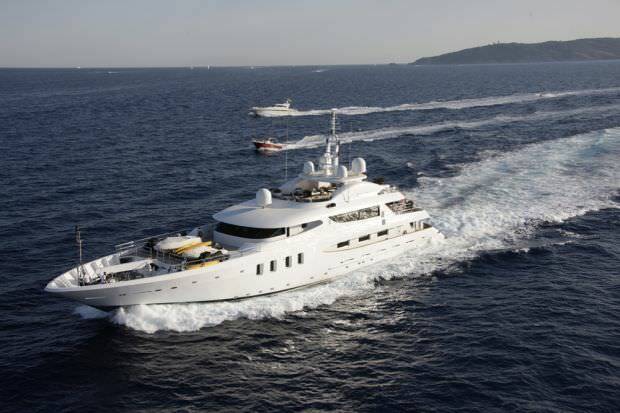 Whether you’re on one of our top-of-the-line fishing boats or party-ready yachts, you can expect luxurious surroundings fit for everything from anniversaries to bachelor parties and corporate getaways. 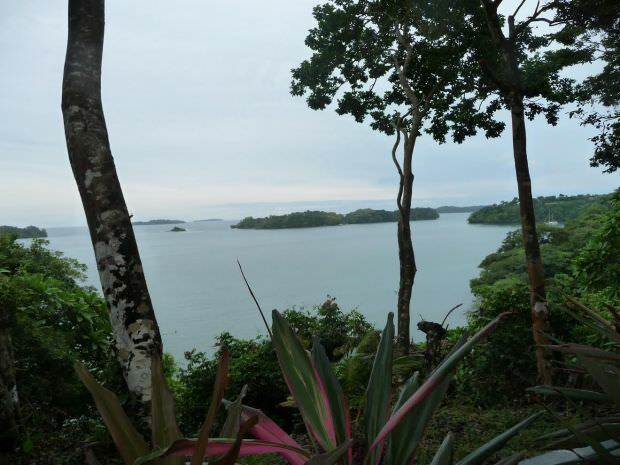 We build exclusive packages that are based on the fishing and diving activities that interest you the most. So if you’re looking to organize your next outstanding corporate retreat, or you’re just a serious angler looking to take advantage of Miami’s diverse ecosystem and range of fish to catch, we’re ready for you. 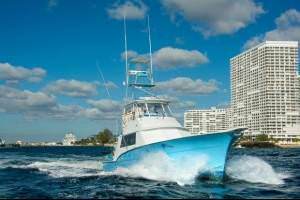 In the Miami and Miami Beach area, we operate fishing charters in the following communities: Coral Gables, Coconut Grove, Golden beach, Haulover beach, South beach, Sunny Isles Beach and Key Biscayne. Captains target these fish with live bait or dead bait and lures. Some of our best captains use a technique unique to South Florida, in which they attach the live bait from the fishing rod to a kite, which is flown in the air. Kite fishing allows the fishing boat to keep the bait at the surface of the water and minimize the amount of line visible to the fish in the water. Local fishing charters also drift live bait directly into the water. They often times troll multiple lures or dead baits through the water to make them look like a school of baitfish are swimming. Both of these deep sea fishing techniques target Sailfish, Blackfin Tuna, Mahi, Wahoo, Sharks, and Mackerel. 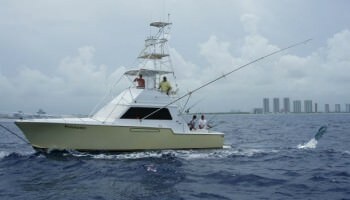 Miami captains also have the luxury of dropping the bait down on one of the many wrecks and reefs located directly off of Miami. Here they target different species of Grouper, Snapper, and Tilefish. We also operate throughout South Florida, including in and around the communities of West Palm Beach, Fort Lauderdale, and the Florida Keys. 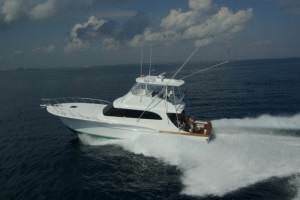 For a full list of destinations for your next fishing charter, please check our locations page. The Best Time to Fish in Miami? All-Year Round! No matter what time of year you’d like to hire a charter boat, you’ll be able to find fish jumping out of the water. Miami is warm and primed for adventure sports all year round, with average temperatures rarely falling out of the mid-60s. However, the fish that travel through these waters are different throughout the year. The Spring and Summer months are the ideal time to visit Florida for Barracuda, Peacock Bass, Bluegill and Goliath Grouper. Visit during the Fall and Winter months to have the best chance at hooking Snapper, King Mackerel, Black Crappie and Sunshine Bass! Your charter will have the right bait and tackle recommendations to make sure you catch what you’re looking for! 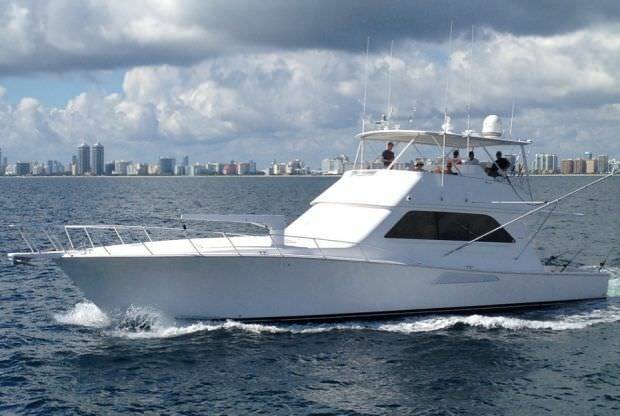 Ultimate Fishing Charters took us on our anniversary yacht cruise out of Miami. The whole thing was arranged by our daughter, and they worked very closely with her to create an AMAZING night for us. I loved the captain, the catering, the backdrop of the Miami city lights, just far enough to be peaceful…they created a perfect anniversary for us. Hiring a fishing charter through UFC was hands-down the best part of my trip to Miami. They were easy to book and they took my comfort requests extremely seriously. The captain and mate were very friendly and needless to say we caught more fish than we could have imagined. The crew cleaned our fresh catch at the dock and we took it to a local restaurant afterwards for lunch. It didn’t even take the captain a half hour out of port from Miami to find a few Sailfish that we caught live bait kite fishing, after we located a school of Mahi and some Blackfin Tuna. What an incredible day! I got to catch everything I had on my bucket list. I've been on several fishing charters but this was by far the best. Guests should bring any food and drink they would like for their charter unless the charter specifically states that catering is included. We also recommend bringing sunblock, hats, sunglasses and comfortable layers for changing weather conditions. 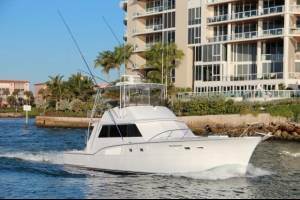 What is the customary gratuity for a fishing charter? Customary gratuity for a hardworking crew is 15-20%. What is the best length for our fishing charter? Out of South Florida, we typically offer three different trips which include half day (4 hours), three-quarter day (6 hours) and full day (8 hours). We pick up plenty of fish on every charter, but we typically recommend the shorter hours for entry-level anglers and 6/8 hours for more experienced anglers. We also have custom trips and night charters that vary in length depending on the type of charter desired by the client. On almost all of our fishing charters, guests can keep any fish that is legal and edible. There are certain species of fish our captains must release per fish conservation laws and guidelines. Upon returning back to the dock the crew will happily filet and clean your catch for you to take to a restaurant or to cook yourself. How many passengers can come on trip and who can go? Flats boat ideally seat 2 passengers. On a center console boat, we recommend up to 4 passengers. 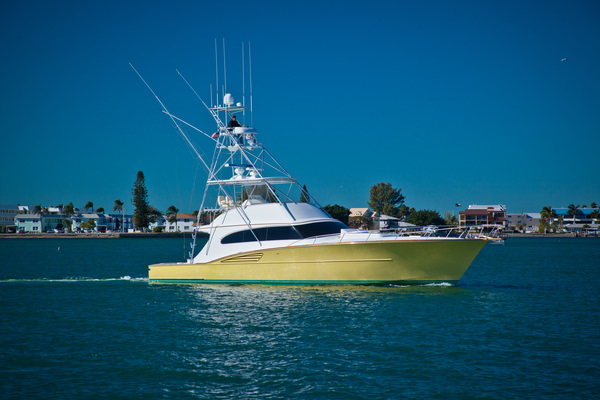 Sport fishing boats are typically limited to up to 6 passengers due to coast guard regulations, but there are some exceptions for specific boats and fishing yachts. Please inquire for large parties. All of our charters are kid friendly and happy to cater to bachelor parties, team building, corporate, fishing tournaments, birthdays and wedding parties. What types of fish can I catch on my charter? The type of fish caught on each charter varies with the fishing season, location, and type of charter. Some of the most common fish caught on our offshore deep sea fishing charters include: marlin, tuna, wahoo, mahi, snapper, grouper, sharks, sailfish, swordfish, cobia, permit and jacks. Inshore fishing charters typical catches include tarpon, snook, sea bass, bass, bonefish and redfish.